Recently, we talked about how we can use lavender herbal tea to get rid of stress. 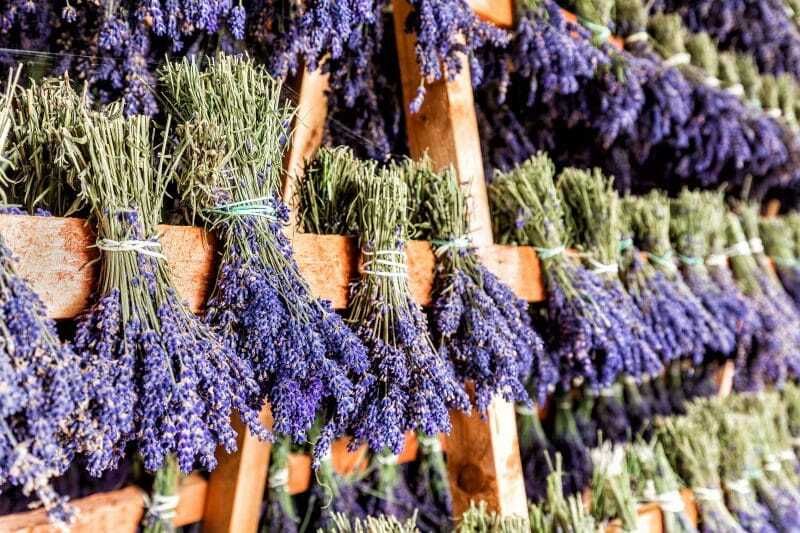 Today, let’s discuss another one of lavender’s many virtues — helping us sleep. Check out our Art of the Home tip and get a well deserved good night sleep with lavender. You may even travel to Provence in your dreams! Art of the Home Tip — To enjoy a good night rest, simply put a few drops of essential lavender oil on your pillow case or on a piece of fabric (or cloth tissue) placed on your pillow. Another technic used by spas and beauty institutes is to spray pillow cases using a spray bottle filled with spring water and a few drops of the essential lavender oil. Now you are ready for a relaxing and peaceful night of sleep — faites de beaux rêves (sweet dreams).